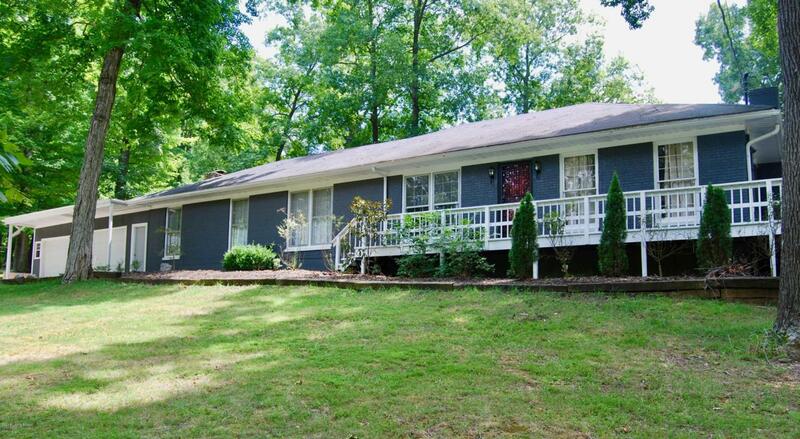 Get here quick to view this gorgeous and updated one-story ranch in Meade County's coveted Doe Valley! This home offers updates galore and is on-trend featuring: grey washed wood flooring, new carpet in the bedrooms and family room, solid wood countertops, and stainless steel appliances. As you enter the front door you are greeted by a large foyer with a custom built-in bench and coat rack. The open-style living room, dining room, and kitchen showcase a beautiful, large, wood burning fireplace and a custom breakfast nook. The kitchen opens up to a cozy screened-in porch. The floor plan is and all on one level making this home perfect for ''easy-living''! Wheelchair friendly also! Check out this lot! Over 1 acre included in the sale - wooded and cleared over looking the lake. See list ofDoe Valley neighborhood amenities!